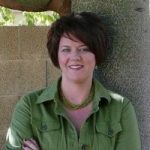 Rebecca Howell, owner of Custom Bookkeeping Solutions, LLC, is an Advanced Certified QuickBooks ProAdvisor specializing in small businesses support. She provides a wide range of services such as: accounting and bookkeeping, payroll, sales tax preparation, full service QuickBooks setup, training and assistance. Work For Custom Bookkeeping Solutions, LLC? Claim This Page.